Visit to Elephanta caves is a must if you are at Mumbai. The journey starts from Gateway. 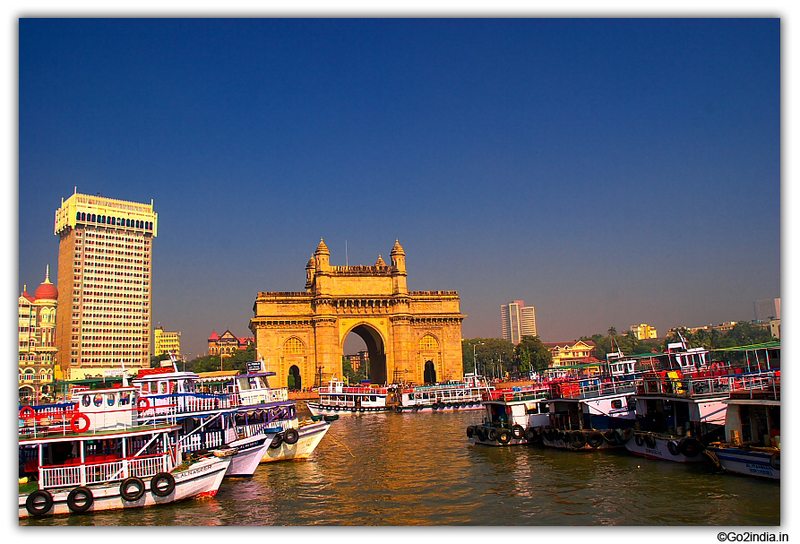 This sea cruise takes one hour to covers a distance of 13 KM from Gateway to reach Elephanta. 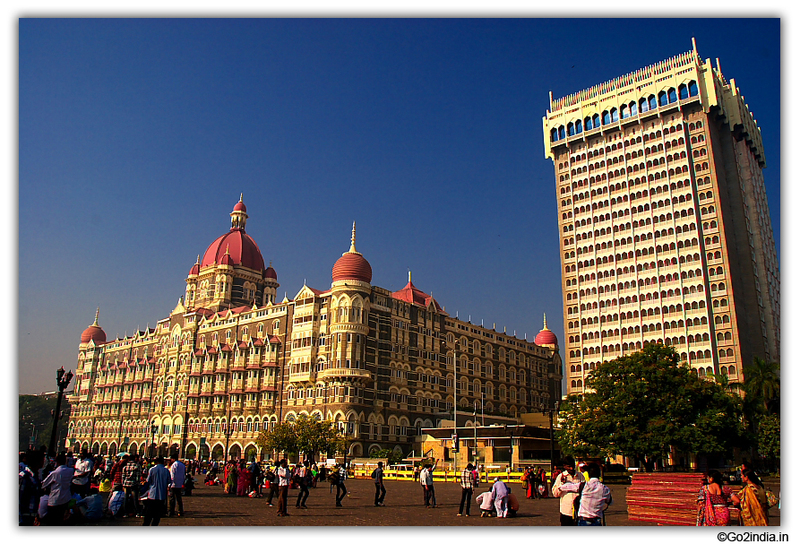 Reach the last two stations of South Mumbai either CST( Chatrapati Shivaji Terminal ) old name VT ( Victoria Terminus) or Churchgate station (only local train). Then take a taxi , local bus to reach Gateway. A full taxi will cost you nearly Rs 40/- ( Year 2014 ) or you can go by sharing a taxi with other passengers. 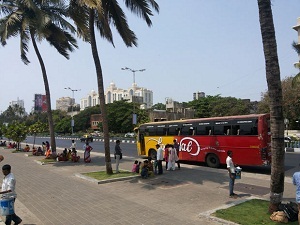 This is south most point of Mumbai. 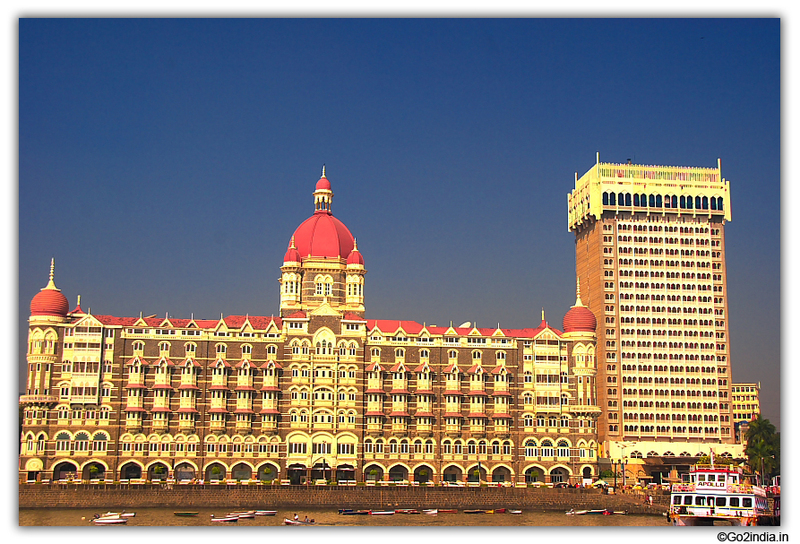 Or take a local cab to reach Gateway the most popular landmark of Mumbai. 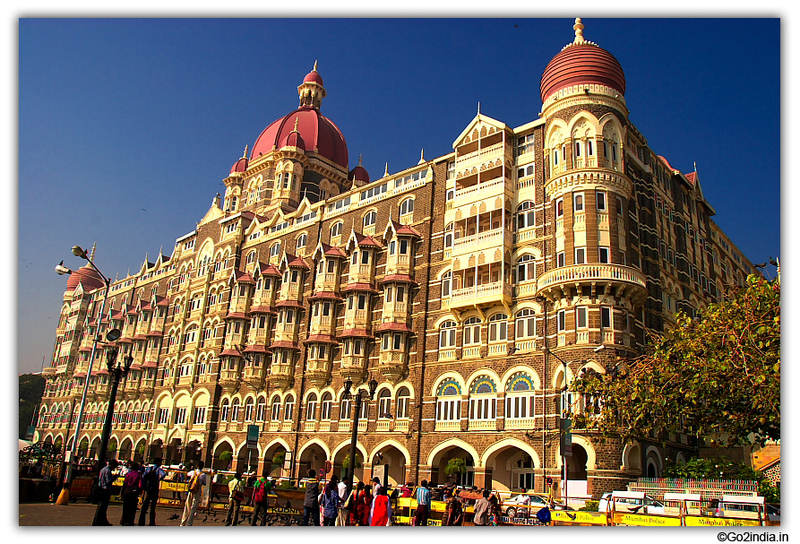 If you are here for first time then spend some time near Gateway watching Hotel Taj and the famous historical buildings around it. Ticket counters for boat journey are near Gateway. Outside also there will be ticket selling boys. But better take the ticket from counter. 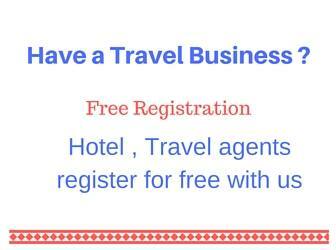 There is no advance booking ( not required ) . After buying ticket move towards Jetty located back side of Gateway. Price per ticket is Rs 180/- , Rs 125/ for child 2 years to 7 years . From Elephant first return boat is at 12.00 Noon. 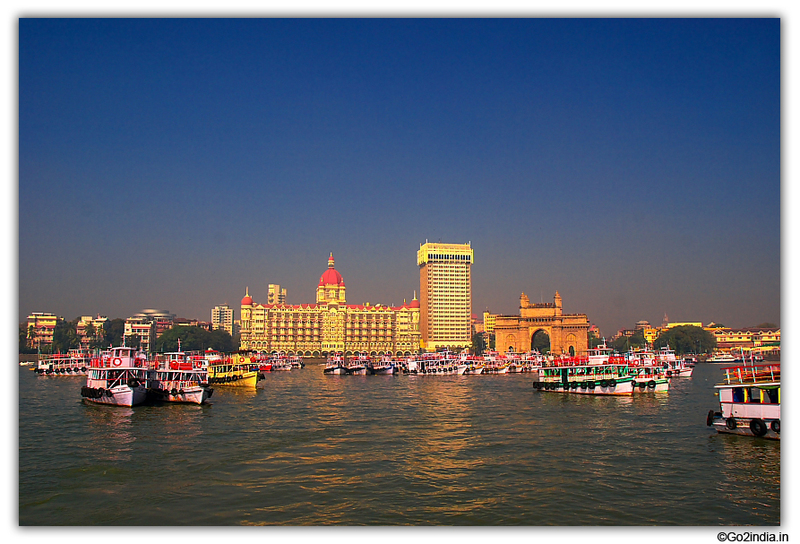 From Elephanta last return boat is at 5.30 PM. Frequency of boat service is on every half an hour. Duration of Journey ( one way ) is one hour. There is a warning board saying ' Due to bad weather, Launch services will be closed without prior notice. There will be several boats parked close to Gateway. These boats are have two floors. 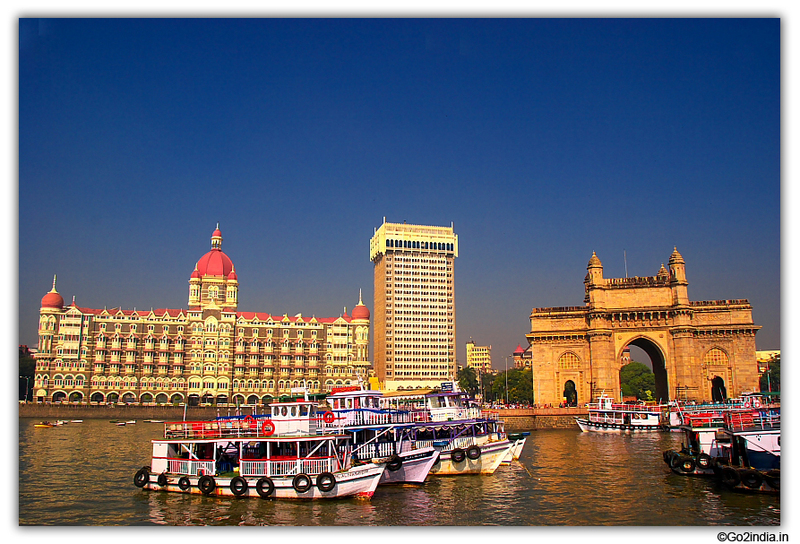 In big boats you will be asked to pay Rs 10/- in addition to your ticket if you prefer to take a seat in upper floor. 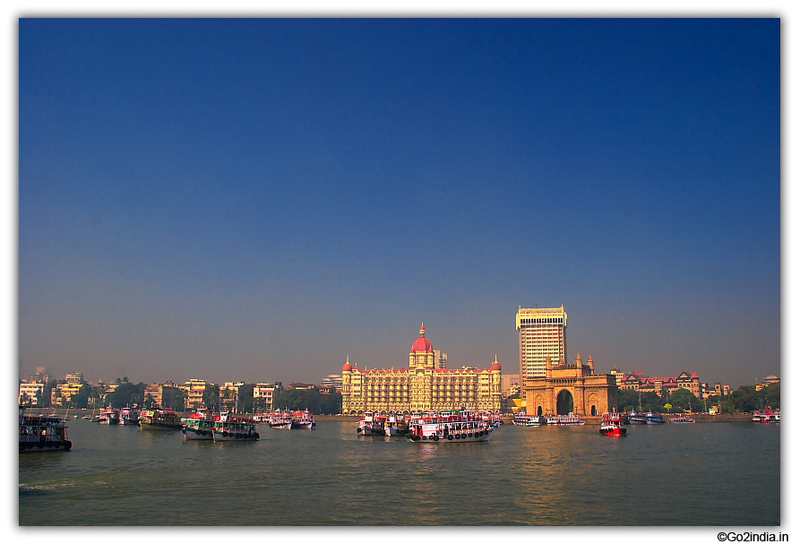 The boat will take one hour to reach Elephanta. On the way you will see several cargo ships and other type of small and big ships of different countries. From a distance you can see several institutions and marine equipments while travelling. There is a new jetty at Elephanta, from here the foot hill is nearly 1 KM. 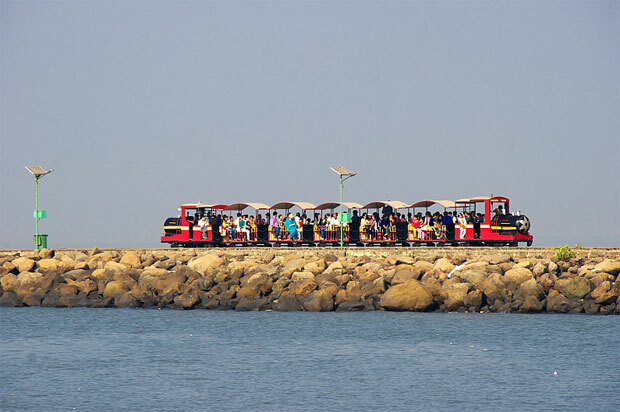 You can walk or use the toy train run by Maharashtra Tourism. 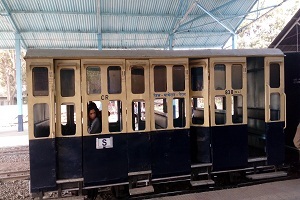 Both way train ticket cost is Rs 10/- . 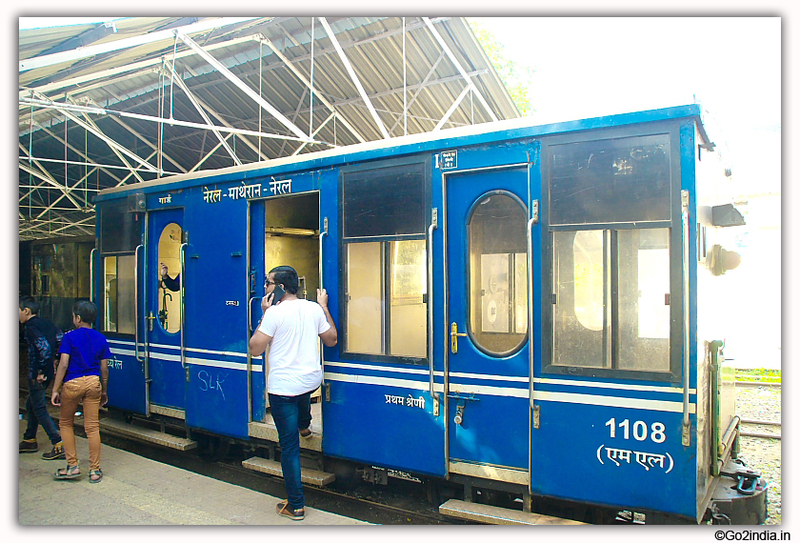 It is better to take train as you can conserve some energy required for climbing nearly 120 steps to reach the caves. Need to pay here Rs 5/- ticket to enter into Elephanta hills complex. From the foothill you need to climb up steps for 15 to 20 minutes ( 120 steps ) to reach the foothill. While climbing on both sides there will be shops selling , souvenir items, local products, books, bags , gift items. There are several small and big food stalls available selling all types of food items. 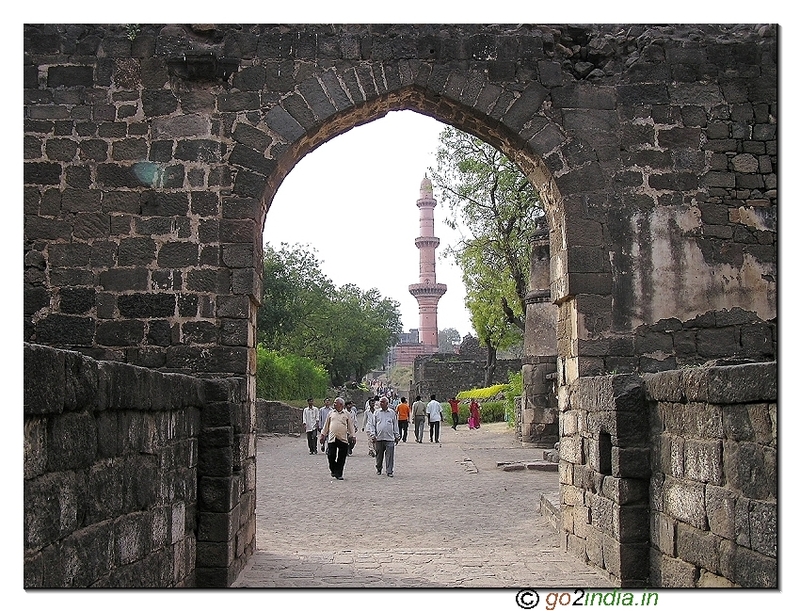 Doli or Chair are available if you are not able to climb the steps. Each chair will be lifted by four men. After climbing up you can take rest or take to your left to reach the first cave. Before this there is a counter of Archaeological survey of India where you have to buy a ticket of Rs 10. Foreigners have to pay Rs 250/- . No charge for Camera but video camera charge is Rs 25/-. The ticket counter is open from 9.00 AM to 5.00 PM. Guides are available at the first cave to explain you about the caves. 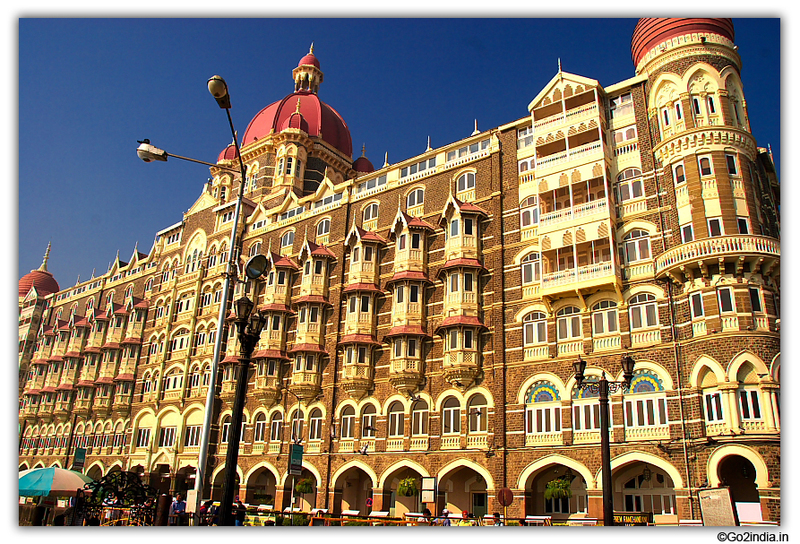 Charges varies from Rs 100 onwards based on your group size. You can bargain for the best price. 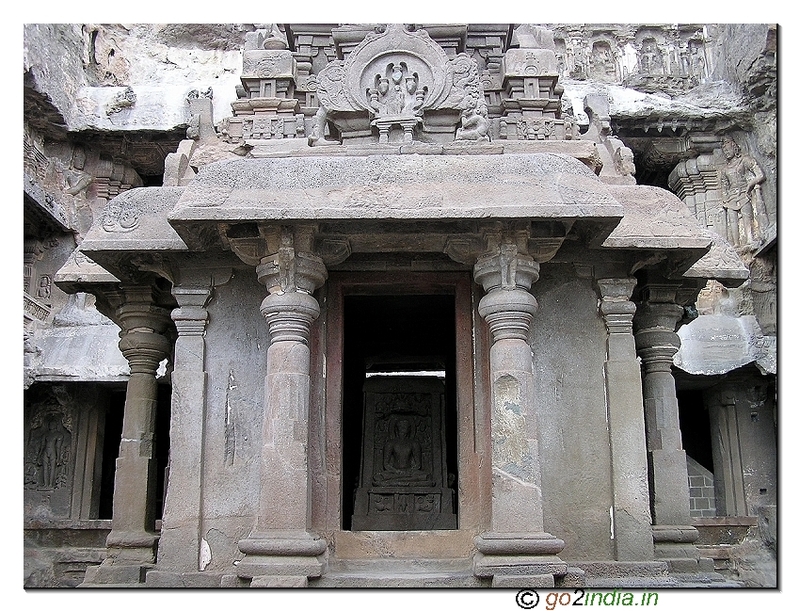 The first cave is the most important cave with several status and Shiva Lingas. In addition to this cave there are another three caves in same side. You need to walk 500 meter to see these three caves. They are not as big as first caves. Toilet facility is available near the last cave. From the main area at your right there is Canon hills . To reach the Cannon you will take 15 to 20 minutes. Little climb is involved at the beginning and then gentle climb is there for 500 meters. Food stalls are available on the way. On return it will take 10 minutes. 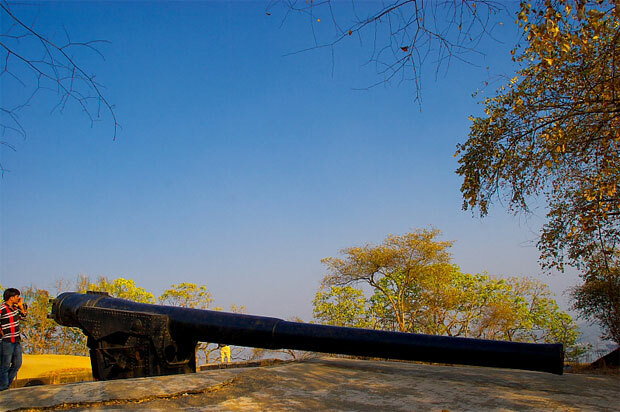 At the hilltop there are two Cannons. They located at 100 meters apart. Both are placed over a rotating base to target enemy ships in any direction. To adjust the angle of fire, gear arrangement is there. Basement is used to store the ammunitions. These two cannons were left by Portuguese. You can use the same ticket to return to Gateway. 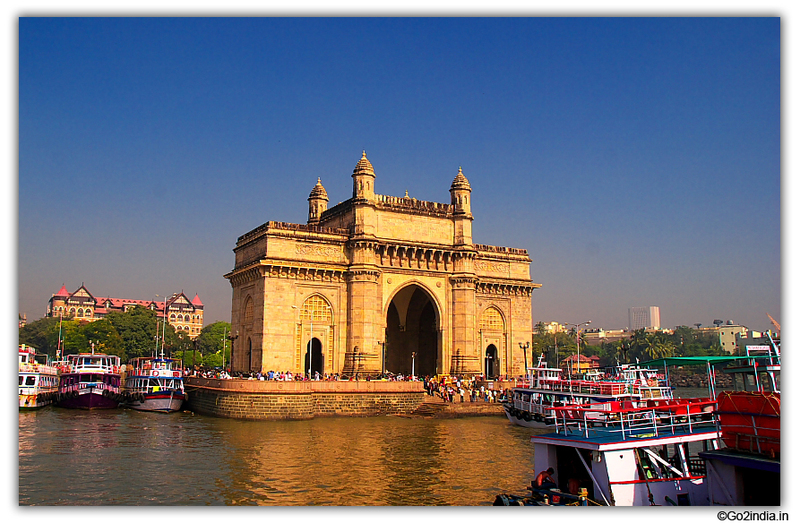 It requires one hour in sea to reach Elephanta from Gateway. To save time after visiting first cave you can skip balance three caves and instead visit Cannon hills. 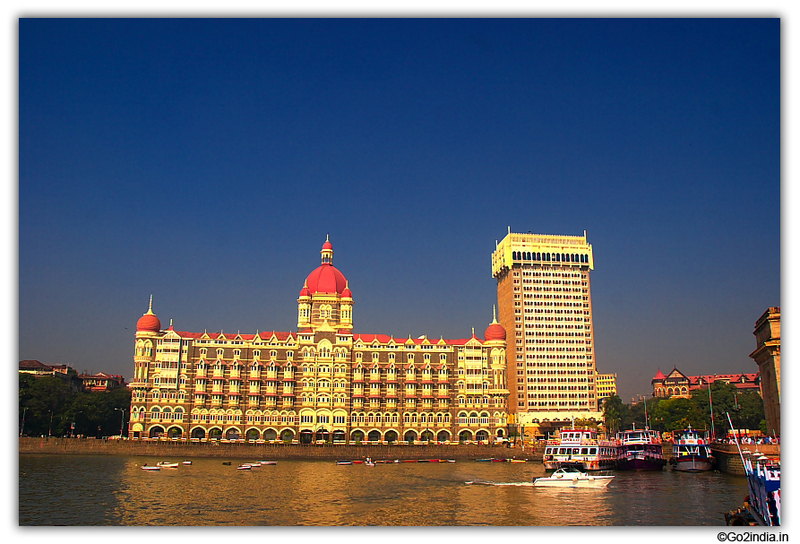 There is no accommodation available at Elephanta island. 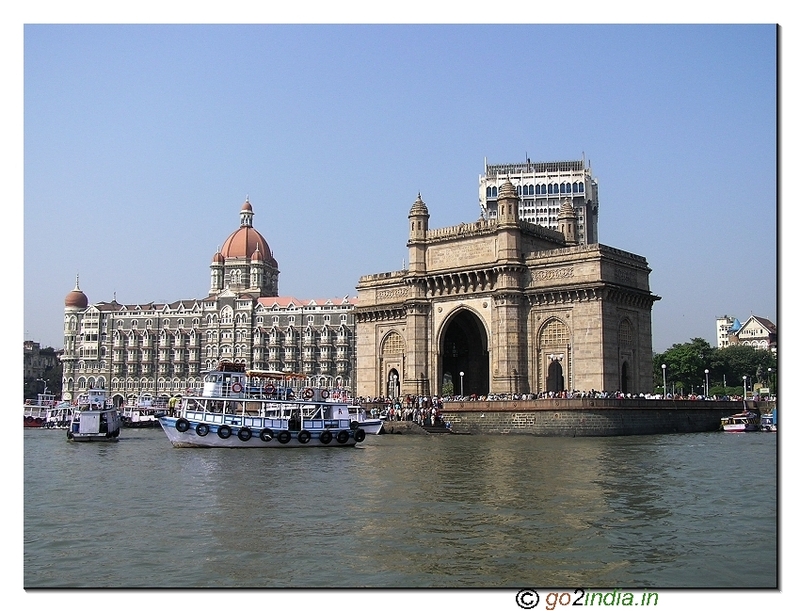 Tourist return to Gateway after visiting Elephanta. 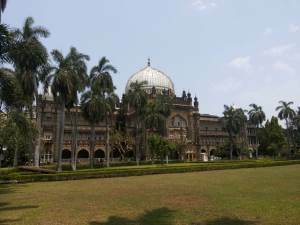 The name Elephanta came from big status of Elephant which is now shifted to Veermata Jijabai Bhosale Garden ( Victory Garden ) in Mumbai. 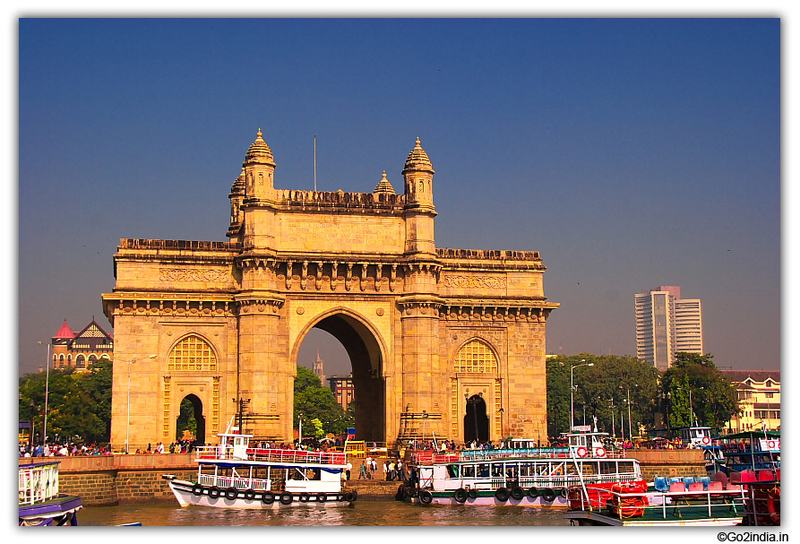 The island of Elephanta is originally known as Gharapuri. The cave complex consist of 7 caves. 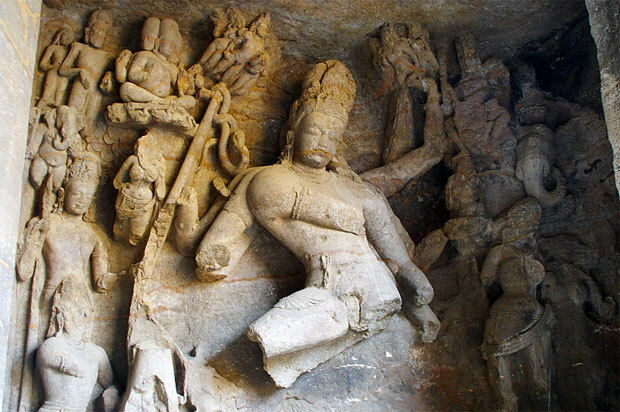 Out of which 5 caves at the lower side and the cave No 1 is exclusively carved with various manifestation of Lord Shiva. On the statues you can see Chalukyan influence. The depiction of mountains and clouds and the hairstyles of women are reminiscent of Gupta art. 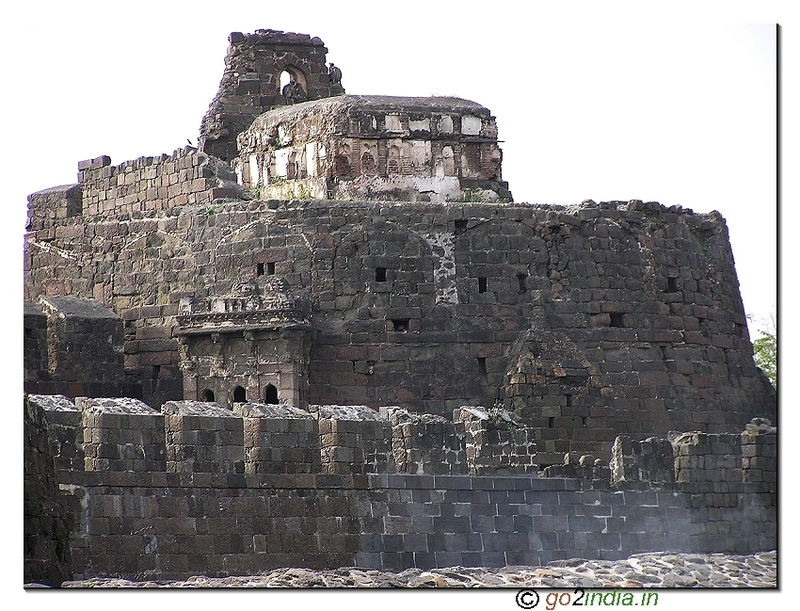 Elephanta cave is a part of UNESCO World Heritage sites. 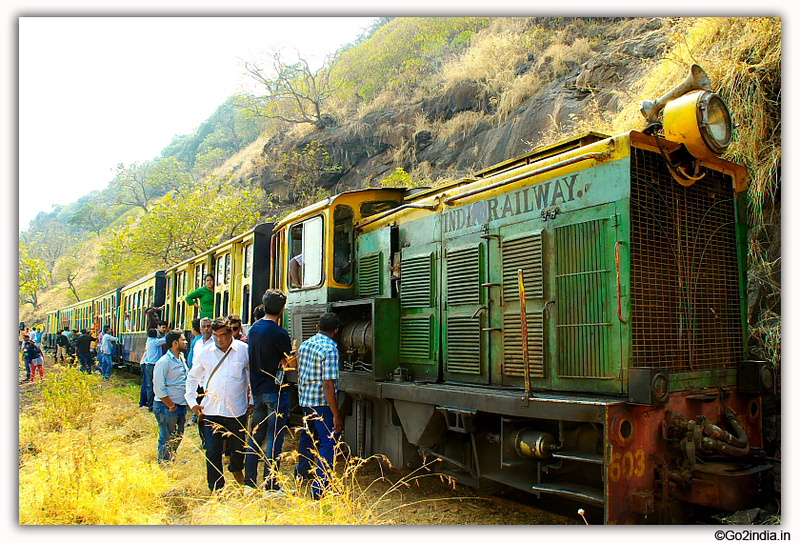 Is it possible to buy tickets for boat journey, toy train and going around caves in one go? 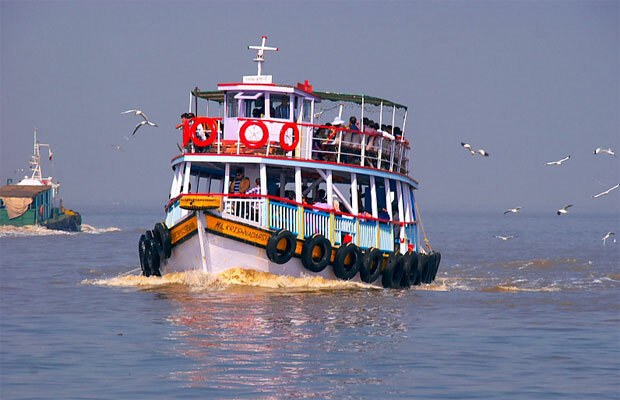 Is it possible to travel to Elephanta in a decent A/C boat or one has to go by same rickety boats as we used to get 50 years back?Why the foreign tourist need to pay Rs.250/ each compared to rs10/ for Indian? This is kind of discrimination not done anywhere in any tourist spot in US/Europe/Japan. 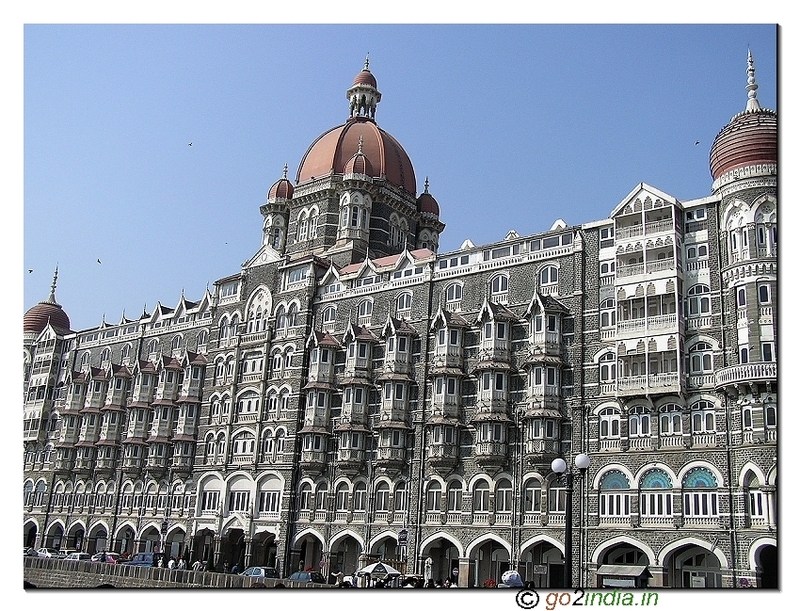 Please let me have some answer to above questions and also what improvements are made by state or GOI tourist department for visiting such a wonderful place overlooking taj hotel & India Gate -probably the busiest elite foreign tourist centre' in comparison with that we had 50 years back? ..